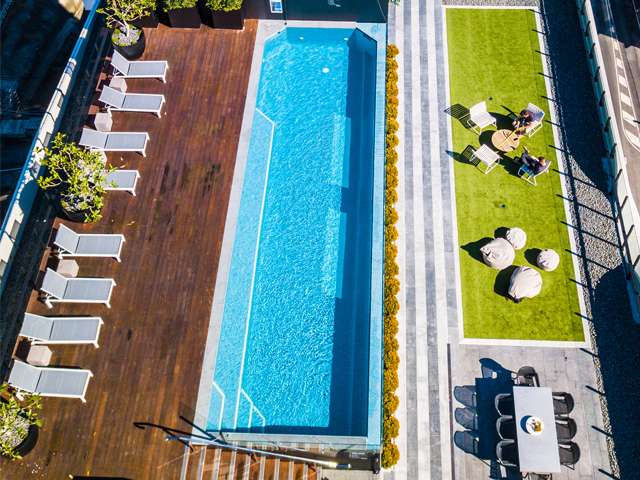 Are Rooftop Amenities the New Standard Inclusion for Residential Development? There’s no question that, as Australia’s population grows, high density living will become the way of the future, and with many young Australians looking to own their first home, it’s becoming the only affordable choice. Owning a two-bedroom apartment with sweeping skyline views is fast becoming the new Great Australian Dream and with affordable quarter-acre blocks becoming increasingly hard to come by, young professionals and retirees alike are choosing to live closer to the heart of the CBD. However, the latest trends in architectural excellence mean high density living no longer compromises direct access to sunshine, fresh air, greenspace and outdoor respite. Top tier and boutique developers alike are capitalising on their humble rooftop spaces, turning them into sanctuaries of relaxation and recreation zones to dine ‘al fresco’ while enjoying panoramic views of the urban landscape. 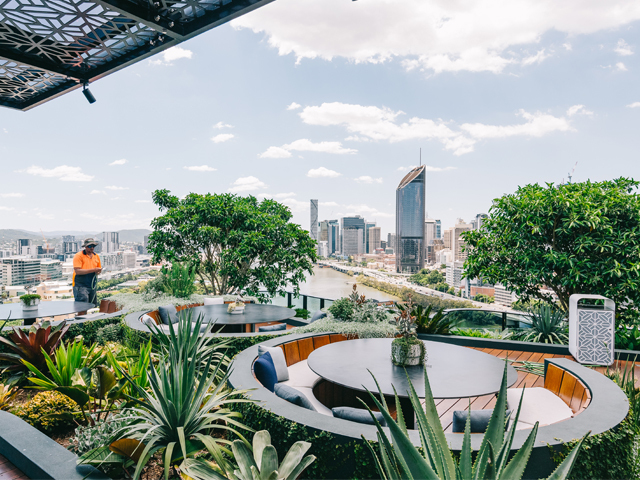 In keeping with this trend, leading Brisbane-based landscape contractor Martin Brothers has recently completed the construction of three major rooftop amenity projects for high-density residential projects in inner Brisbane. Co-founding director, Jack Martin, says developers have a huge opportunity to leverage what is traditionally a ‘second thought’ on most projects. “As apartment living becomes a standard choice for not only Millennials but also many downsizing retirees, developers need to think about how they improve their customers’ quality of high density living,” said Martin. 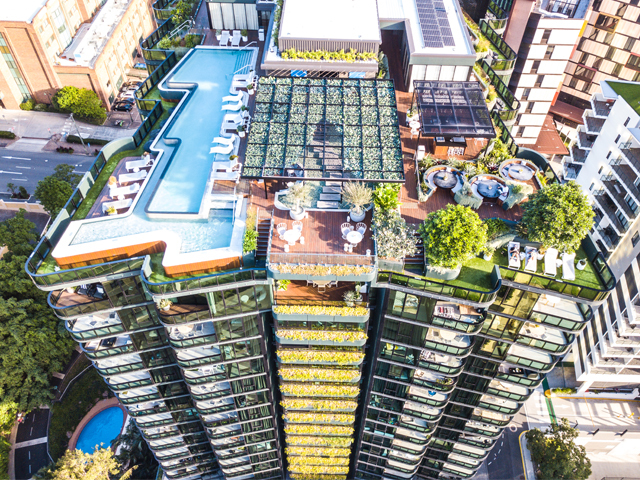 “Especially in cities like Brisbane, that enjoy a temperament climate year-round, planning the inclusion of beautifully landscaped rooftop amenity can not only help developers capitalise on once-overlooked space, but also improve the capital value of their residents’ apartments over the long term. In terms of benchmarking, Martin has found overseas projects particularly inspirational. “Looking abroad to more densely developed cities such as Hong Kong, Tokyo and Singapore, developers have long leveraged the potential offered by rooftop spaces,” he said. Martin also singled out Singapore’s Pinnacle@Duxton building, winner of the CTBUH’s award for Best Tall Building Asia & Australasia in 2010, which features the world’s two longest linear sky gardens at 500 metres each. 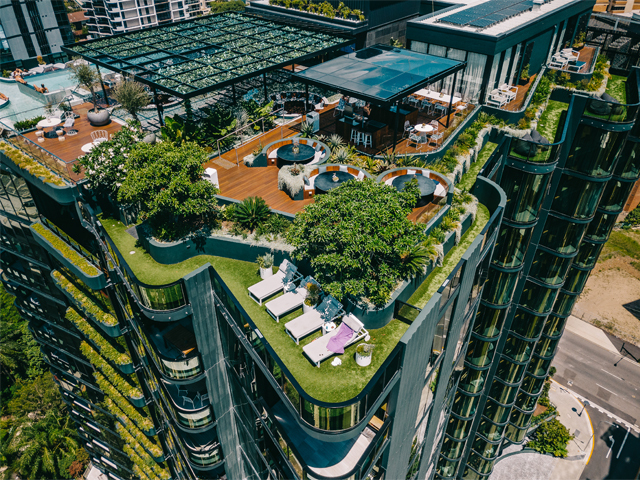 Closer to home, the ‘Oxley and Stirling’ project, developed by award-winning Brisbane developer Aria Property, has created a national benchmark in landscaped rooftop amenity with their gravity-defying and visually striking use of greenery and landscaping. The 16-storey South Brisbane project, designed by Elenberg Fraser, features a massive 1300sqm rooftop, constructed by Martin Brothers in 2017. 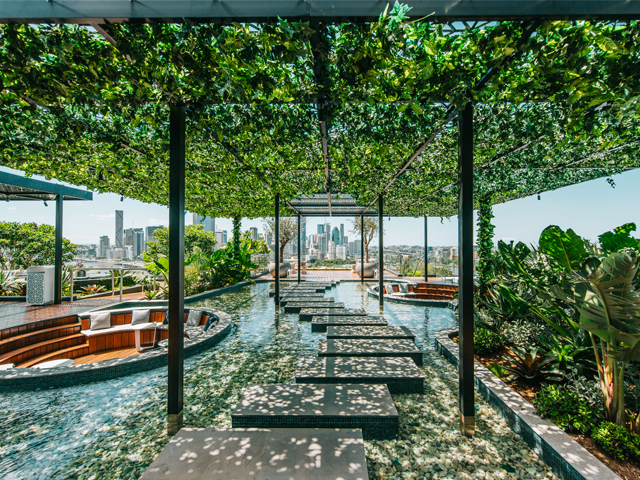 The rooftop features a verdant pergola covered in lush green vines, a lap and plunge pool, al fresco barbeques, day beds and terraced seating areas. 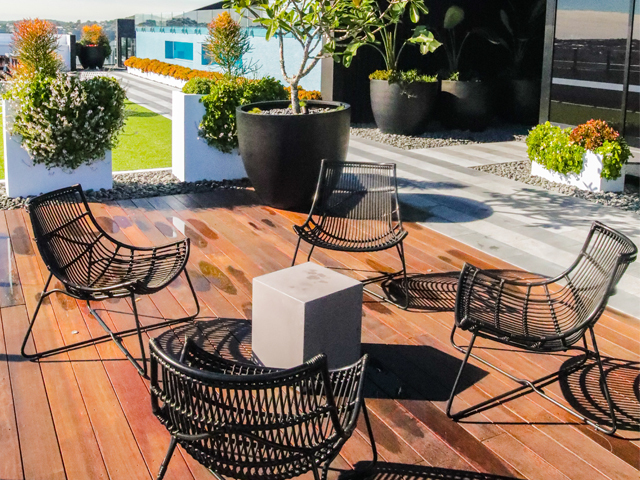 Beyond the landscaped outdoor rooftop space and panoramic views of Brisbane River, residents can enjoy facilities which rival the most exclusive hotels, with a rooftop theatre, wine cellar, private dining room and gymnasium. 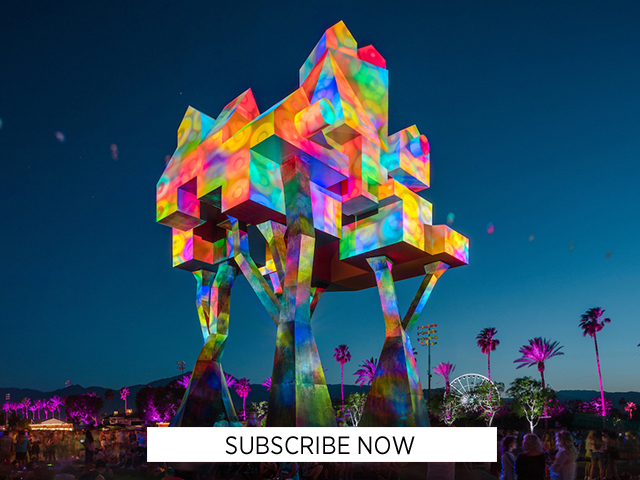 “We worked closely with Pellicano and Oculus to rethink the boundaries of green space in a high-density urban area,” explained Martin. David Scalzo, Managing Director at Perri Projects, agrees. “We knew we wanted to invest in a long-term urban renewal project rather than a purely residential development,” said Scalzo. With this increased demand for rooftop and outdoor amenity from green-poor city dwellers, the trend in eco-focused architecture and design excellence is only set to grow. By rethinking the boundaries of green spaces and luxury living in high density urban areas, sprawling urban centres are undergoing a dramatic transformation from concrete jungles to green cities that breathe better. Ultimately, this trend shows that the humble rooftop will no longer be a second thought, but rather a key element and opportunity in the high-density developments of the future. Previous postThe Redevelopment of Toronto Next postWhy are Old Eucalypts Worth Saving?